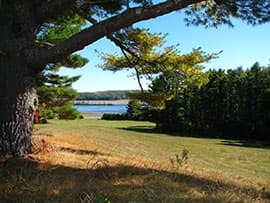 Swan Island, at the head of Merrymeeting Bay, welcomes hikers, campers, birders and explorers to its shores for an unforgettable Maine experience. 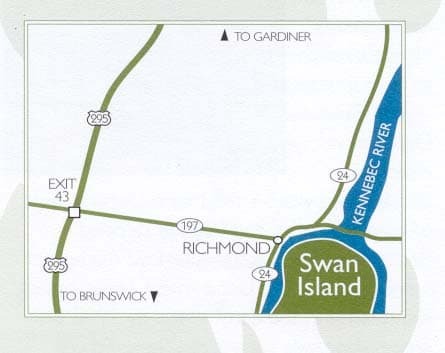 Board our ferry for the five-minute ride across the Kennebec River to your remote getaway…close to home. Once on the Island you can begin your exploration or travel in our tour truck to the campground. 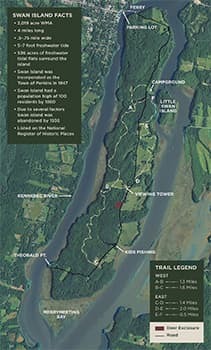 From here explore the campground area and homes, rent a kayak to explore the islands, walk the scenic gravel road to Theobald Point, or begin exploring 7-miles of hiking trails. Fishing pond for kids under 16 - fishing gear provided! 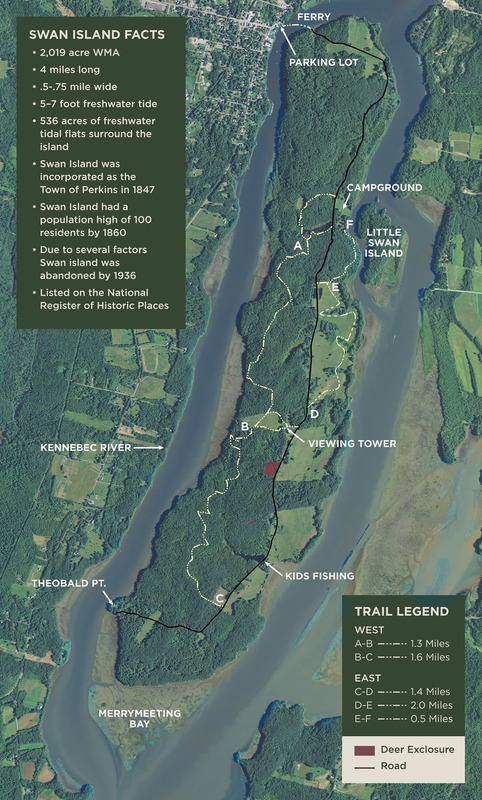 For reservations and information contact Swan Island at (207) 287-5322.